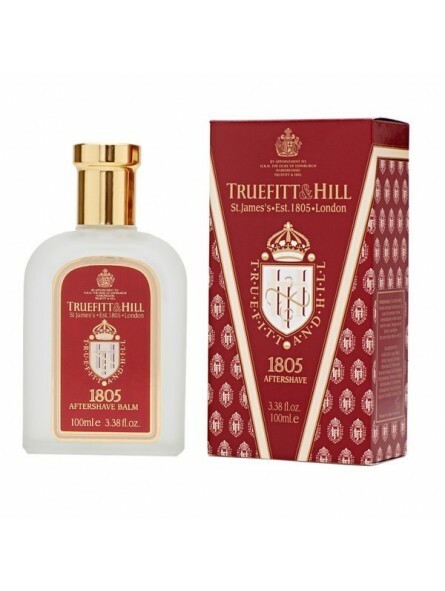 Truefitt & Hill 1805 After Shave Balm100ml. Rich soothing balm, contains lanolin and aloe vera which helps to accelerate the healing process of the skin. Maintains moisture levels below skin surface keeping skin deeply hydrated, creating a natural protective barrier. 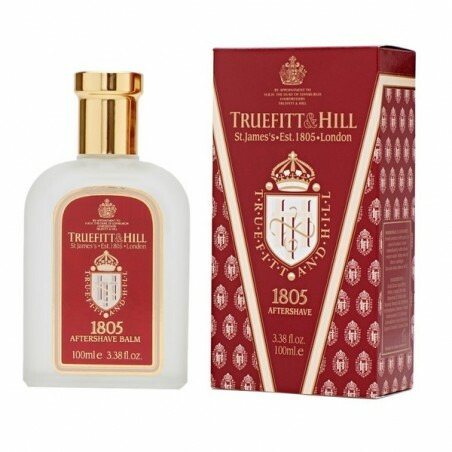 A fresh oceanic fragrance with top notes of Bergamot, Mandarin and Cardamom, combined with a Lavender, Geranium and Clary Sage heart resting on a Sandalwood, Cedar Wood and Musk base. Soothing and long-lasting. This is the perfect complement to the other products in the range.